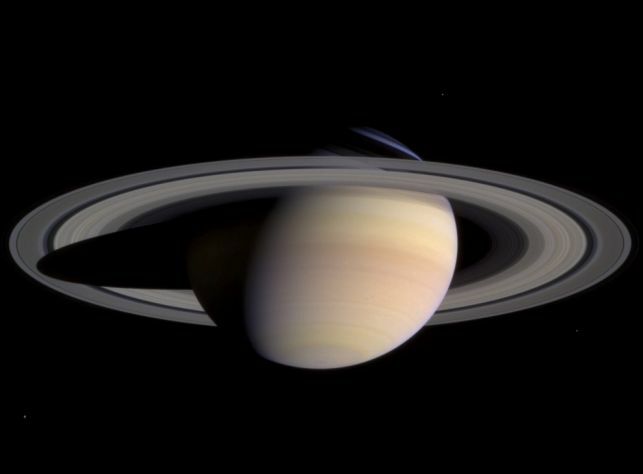 Explanation: Now a bright speck of light wandering through Earth's night sky, magnificent planet Saturn lies nearly 1.5 billion kilometers from the Sun. But after an interplanetary voyage of seven years the planet's stunning rings nearly fill the field of the Cassini spacecraft's narrow angle camera in this image recorded on March 27. Tip to tip, the ring system spans about 270,000 kilometers. Named for discoverers, the large, easily visible gap in the rings is known as the Cassini division, while the narrower outer gap is the Encke division. Illuminated from below and to the right, the rings cast a shadow on Saturn's upper hemisphere, interrupted where sunlight streams through the Cassini division and creates a light blue streak. At the left, Saturn also casts a stark shadow across the planet girdling rings. 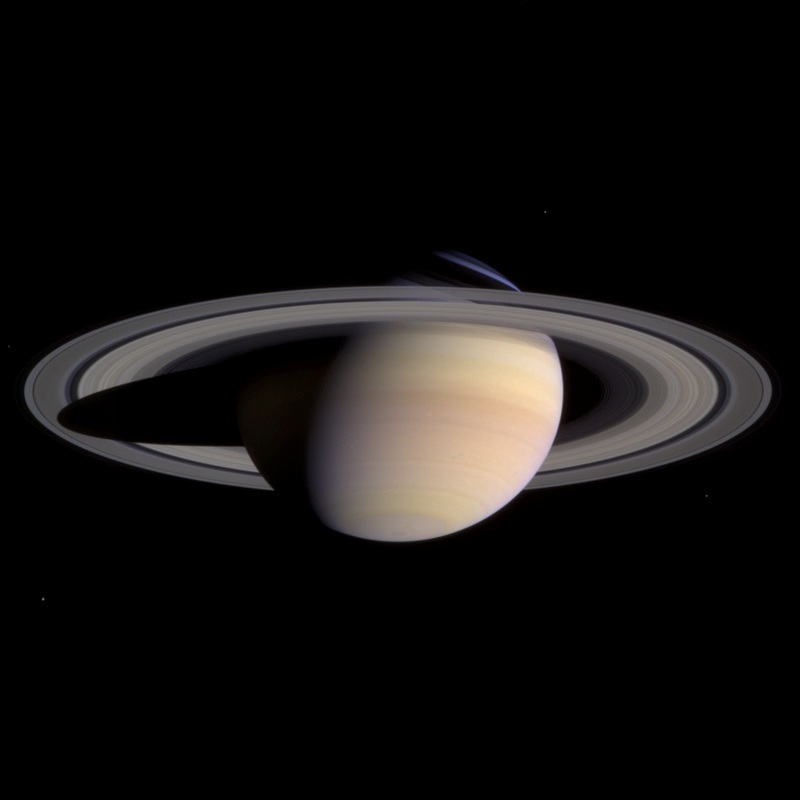 On July 1, the Cassini spacecraft is scheduled to fire its main engine and enter Saturn orbit.